I do not believe that forgiveness is something you do. Rather, I believe that forgiveness is the place where you naturally arrive after you’ve learned how to care for yourself in the here and now. Forgiveness is just one of the many milestones you pass when you embark on a journey to heal from something painful that happened to you. 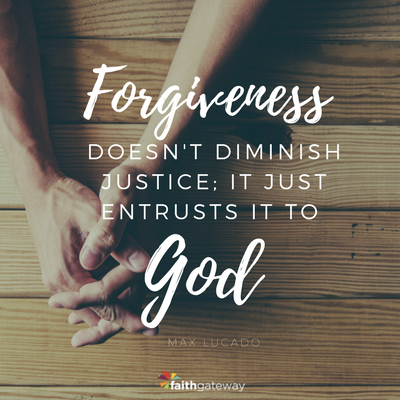 While forgiveness can contribute to the healing process, it has been my experience that when we focus our efforts on healing ourselves, we pave a natural path to forgiveness. So the simplest answer I can offer is to just work at healing. Forgiveness will bloom naturally in it’s own due time. From a very young age, most of us have only ever been exposed to a fairy-tale happily-ever-after concept of forgiveness. We are all taught you buy forgiveness from someone by saying the words, “I’m sorry,” and that magically makes everything all better. Sounds simple and wonderful, doesn’t it? Except it isn’t so simple or so wonderful. When you are the person who has been hurt and you hear the words, “I’m sorry,” it’s suddenly become YOUR job to forgive the other person. And what a nightmare of a job that can be! It’s not as though we even asked or wanted to be hurt in the first place, but now that we’re drowning in pain, we’re also given an additional burden. It’s just not fair! Not only does it seem impossible to do, but it doesn’t magically make everything all better and good as new! Even though we all seem to know the “I’m sorry” game doesn’t really work out like the fairy-tale we’ve been taught, there doesn’t seem to be much else we can do except continue to play along. Think back to a time when you were deeply hurt and then you heard that painful, “Sorry.” What did you really want to say in response? Did it maybe sound anything like this? If you’ve ever wanted to say something like that to someone when they offered you an apology, then you’re not alone. You may not know it, but incredibly, you’ve just expressed what is probably one the best prescription’s I know for healing and forgiveness. Suppose I punch you right in the face, perhaps breaking your nose, and then immediately say, “I’m sorry.” Do you even want my apology right now? I might just as well have asked you to go get me a bandage because my knuckles got hurt and, while you’re at it, take and wash my white shirt and make sure you get all the blood spatters out of it. When I say “Sorry” and then expect you to forgive me before either of us have assessed the extent of your injuries, and before we’ve acknowledged and soothed your hurt, I’ve implied that your pain is of little consequence to me, and that my wounds and discomfort are more important and in more serious need of attention than your wounds and pain. As long as you are still wounded and hurting, you are not interested in hearing about my pain. You’re not anywhere near being ready to forgive. And at this rate, with me still adding insults and injuries, you might never be ready to forgive. It’s not the least bit surprising that hearing an “I’m sorry” isn’t what you most need or want in this particular moment because, for right now, it only adds to your pain. We are desperate to make sense of what happened. We sincerely do want to understand the how and why. Sadly, for the same reason that we aren’t yet ready to hear an “I’m sorry,” we are not yet able to hear and appreciate any explanations, reasons, rationalizations, justifications, and excuses we might be offered. We first need to tend our wounds, soothe our pain, and heal from it before we are going to be in any frame of mind to try and consider the other person’s side of what we have just experienced. Maybe later, much later, we might be more willing and able to hear with our hearts. For the time being, we can’t hear our hearts; we can only hear our hurt. Hearing the word “sorry” does not address our most immediate and critical needs. We are in such pain and distress that we likely don’t even know how to name some of the things that we are really needing most, things like: trust, safety, support, confidence, order, predictability, comfort, validation, hope, direction, purpose, healing, and choice. Even if we could name these needs, because we’re so overwhelmed and disoriented, we have no idea how to try and meet these without help. To make matters worse, we’re likely feeling so vulnerable we simply cannot trust anyone enough to risk asking them for help. We might even find we can no longer manage to trust ourselves. Regardless of what happens from this time forward, a part of us already seems to know that we must begin to accept that life will never again be just like it was. From now on everything is going to be a whole lot harder, different, scary, laborious, lonely. Everywhere we look, we see reminders that terrible things can happen to us, did happen to us, and could happen to us again. We do not know how to get back the innocence we’ve lost, and we have not yet learned how to assimilate and integrate the many new awarenesses we have gained since they were painfully and unexpectedly thrust upon us. One of things we desperately want to know is that our suffering didn’t go unnoticed. We need to make sense of what happened to us, to know that we did–and still are–reacting “normally” to extremely abnormal circumstances, and we need to find a way to end the isolation we now feel since experiencing things that have left deep, private, and invisible wounds. Sometimes we try to tell our story to others. Sometimes we’re unable or too afraid to tell it. Sometimes we tell it over and over and over again, but never come to know or understand what we’re needing and wanting from the telling of it. Sometimes, no matter how badly we want to tell it, we cannot find adequate words to express it. Sometimes, out of hurt, frustration or discouragement we give up and try to stop telling it. Sometimes our stories are so painful, we cannot seem to find anyone that is able to bear hearing it. Sometimes we can’t even risk admitting our own story to ourselves. What we’re needing most at this point in our healing journey is empathy and compassion. We seem to intuitively know that talking can help us find the compassion and empathy we so desperately need and crave. We cannot rush this process though. We need to spend however much time is required to grieve and hurt and mourn the many things we’ve lost. If we can get the listening, empathy, and compassion we crave directly from the person who hurt us, that can be very healing. However this is not always possible, nor advisable, nor even absolutely necessary. We can talk with a skilled therapist, an empathic listener, a close and trusted friend, or even learn how to listen to ourselves so as to receive all the empathy and self-compassion we need to facilitate our own healing. The most important thing we can do for relief and healing is to work at getting to know and intimately understanding our own pain. When we have been deeply hurt due to having experienced abuse or trauma, our lives have been drastically and irreversibly changed. We had no direct power to prevent those changes, to stop them, or to escape them. The relative blissfulness of the past is gone. The future is bleak, gloomy, and fraught with peril and difficulty. Things have already changed, and not for the better. Life is different now. We are different now. We didn’t ask for these changes to be thrust upon us. We don’t like many of the changes. We’ve seen terrible things that we cannot ever unsee, experienced pain which we can’t ever forget. We’ve seen a side of ourselves that we didn’t expect and it’s left us in shock. We have seen ourselves as completely helpless, and denied any real choices. Perhaps we were even made to feel complicit in the painful things that were done to us. If coercion was involved, we might experience guilt, shame, self-loathing, and a perceived self-betrayal. Humpty Dumpty was pushed off the wall. Could put Humpty Dumpty together again. We don't see any obvious way of getting back what has been lost. We cannot choose a different, better past for ourselves, and looking forward we cannot simply choose to not hurt, to not distrust, to not be confused, to not be afraid. We seem to be almost as trapped now as we were before. We might also slowly lose hope because we desperately want things to change and yet we don’t know what to change, nor how to bring about change. From the time we are born, it is out of both desire and necessity that we grow, adapt, and change. But abuse and trauma leave us afraid of change, unable to enjoy growing and adapting. In order for us to try to reclaim our sense of agency, our sense of safety, our sense of order and predictability, we need to be able to once again embrace and welcome change. It takes time and effort to learn to notice and to adjust to the many differences in our lives. While many things can eventually be restored or reclaimed, some things, such as one’s childhood, one’s innocence, a lost relationship, or lost time, can never be restored. The best we can hope for is to accept into our awareness a deepening appreciation of the impact of the loss of those things. To hope for change within the other person is noble and healthy. For now, though, we first need to rediscover the power we ourselves possess which we can use to make things different. It takes time and effort to sort it all out. If we only allow ourselves to see how helpless, weak, naive, and scared we once were–and might still seem to be–then we’re still trapped in the ongoing nightmare. If, instead, we can look at how much stronger, wiser, and more resourceful we are now, then we will begin to notice choices and options we couldn’t see before, and we’ll begin to see how powerful we can yet be. To the extent that we can focus on how things are different now, then to that extent we'll begin to see how different things can be in the future. This is one of the darkest, most confusing, and toughest stages of healing as we try to sort it all out. We can so easily get stuck playing “The Blame Game.” We all know that game. It’s the game where everybody loses because we’re all stuck trying to determine who was responsible; what were they responsible for; who needs to suffer; and how much do they need to suffer? Both healing and forgiving lay in a different direction and in a different time zone: The game we need to play in order to heal is the game called “What Would Make Life Wonderful?” That’s a more challenging, yet infinitely more rewarding game. It’s the game where we try to determine who can take responsibility for envisioning a better world now; what can each person do now to help create the kind of world we’ll all want to live in; what obstacles are preventing each of us from creating this better world; what can we do to remove or overcome those obstacles? We are aware that if this painful thing happened to us, it can happen to others. We have endured and suffered so much that we naturally want to try and protect others from similarly painful experiences. What happened was inexcusable, and yet there seems to be no way for us to personally guarantee it couldn’t happen again. We face the painful truth that only so much is up to us. The rest really requires the cooperative collaboration of not just the other person, but of our entire community. Becoming concerned about the well-being of others requires that we also begin to look towards the future. We’re now looking at the choices all of us can make to help create a better, safer, more wonderful future. We can easily overlook the subtle yet important shift that occurs when we look that tiny bit further beyond concerns for immediate protection, and start turning our thoughts toward prevention. While protection often involves the use of force, prevention focuses on a way of educating that inspires the voluntary and eager cooperation of others. Instead of imprisoning ourselves in the never ending struggle to defend and protect ourselves each and every passing day, we look more towards the freedom that can be enjoyed when we can figure out ways to put our fears and suspicions further behind us. We’re beginning to add to our focus the restoration and healing of even the person who hurt us. We’ve come to appreciate that we want the other person to accept some responsibility. We want them to move past their own ignorance about the impact their choices and actions had on others. We want to move past ignorance regarding other options, other choices, and other actions. We want them to get unstuck from all the self-blame, self-loathing, shame, and fear which keeps them focused exclusively on self-preservation. We want them to feel sufficiently free of any potentially distracting pain or threat that they can more fully turn their attention to learning how to preserve the dignity, safety, and rights of everyone, including themselves. Surely, they must have had some reason for choosing to do the things they did. We want them to be able to learn how to perceive and then make better, healthier choices; choices which will not only better meet their own needs, but also demonstrate a healthy awareness and respect for the needs of others. We want the other person to change not because they’re terrified of being caught. Not because they fear shame, or punishment, or revenge. Not because they are full of hate. But because they are full of love and compassion and good intentions towards both themselves and others. As long as they perceive any need to defend themselves, they are going experience things like anger and distrust, and this will make it almost impossible for them to develop a genuine, internal desire to change. The question is then, “How do we inspire them to love us, and to want to act out of that love?” To answer that question will challenge each and every one of us to rid ourselves of the belief that the best way to teach people to love one another is by teaching them to hate themselves and to fear others. Now that we’ve come this far, we want to know what their next steps are going to be. What exciting new plans are they going to make? What options do they see now that they didn’t see previously? How are they going to become active participants alongside of us in creating the kind of world we can all enjoy? What dreams do they have? What new dreams will we be able to dream when their dreams are realized? 2) at the moment it finds a meaning, such as the meaning of a sacrifice. I want to leave you to consider the following words written by Carl Rogers. I can unreservedly attest that my experience has been identical to his, and that his words accurately reflect both my experience and the convictions which have likewise been forced upon me, and which I now regard as sacred and precious. “There is one deep learning which is perhaps basic to all of the things I have said thus far. It has been forced upon me by more than twenty-five years of trying to be helpful to individuals in personal distress. It is simply this. It has been my experience that persons have a basically positive direction. 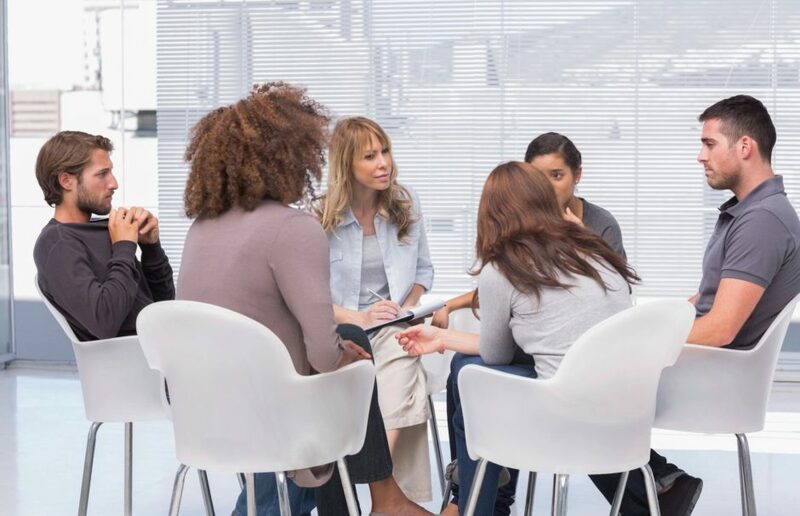 In my deepest contacts with individuals in therapy, even those whose troubles are most disturbing, whose behavior has been most anti-social, whose feelings seem most abnormal, I find this to be true. When I can sensitively understand the feelings which they are expressing, when I am able to accept them as separate persons in their own right, then I find that they tend to move in certain directions. And what are these directions in which they tend to move? The words which I believe are most truly descriptive are words such as positive, constructive, moving toward self-actualization, growing toward maturity, growing toward socialization. I have come to feel that the more fully the individual is understood and accepted, the more he tends to drop the false fronts with which he has been meeting life, and the more he tends to move in a direction which is forward. You can click here to download this article in PDF format. 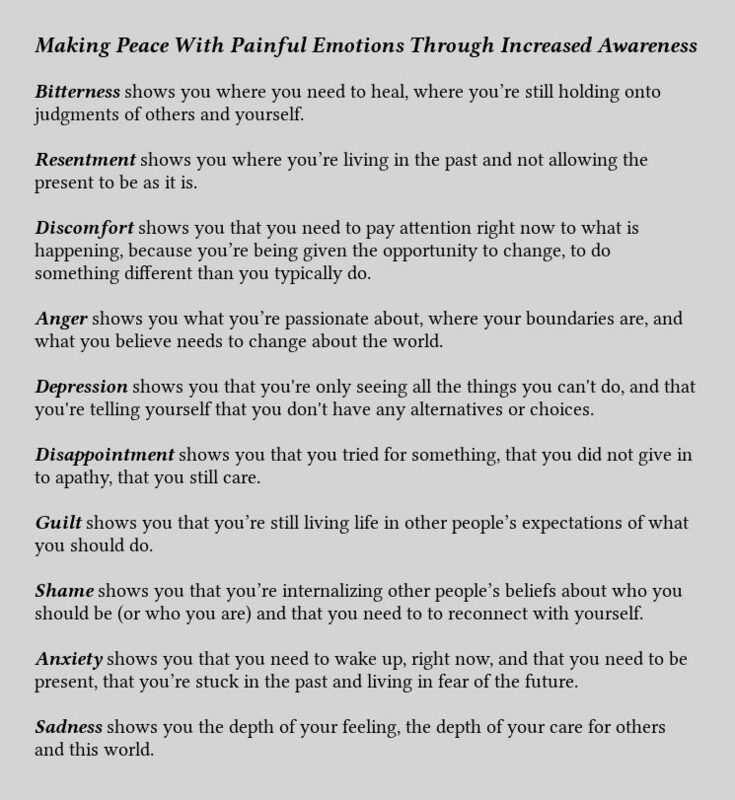 6 Responses to How Can Healing Yourself Help You Forgive Someone -After Experiencing Abuse or Trauma? That website is an extremely powerful resource! Did you see all the testimonies? I counted 44 painful stories there. When you consider that 1 victim doesn’t live in a bubble of isolation, but that mother’s fathers, siblings, and others can possibly be a secondary victims, the number can grow quite large, like 2, 3, 4, or more persons impacted out of 37 persons. Doing a little more math, 4 impacted out of 37 means that more than 1 person in 10 has knowledge of, or has been impacted by the problem. Nope, it’s not rare and isolated like Watchtower would like for everyone to believe. It’s absolutely rampant! And so the current (and admittedly, possibly underestimated) estimated figure of 1 in 6 men have been sexually abused is not hard to calculate. And I have seen other figures for women as high as 1 in 3. But the impact is often hard to appreciate. Last week my wife I were sitting and talking with a nurse in the hospital. She asked me what it is I do, and when I replied, “I work with men that have been sexually abused,” she closed her eyes, shook her head, and a shudder went through her body as she tried to shake off the mental picture. I wondered, how has she been touched by it? Greg, this was sent to me by Barbara Anderson today. It is amazing that the child abuse is worse in the Jehovah Witnesses organization than the Catholic Church. You have touched on a very important consideration here. Thank you! I very much agree with you that only God truly knows our hearts. I also agree, that some people make a regular habit of doing things that are painful to others, even consciously and deliberately choosing to do these things. And yes, the Bible also speaks of the eventuality that, in even the coming peaceful Kingdom of Christ, a few persons will prove themselves incorrigible, incurable despite all attempts to educate by appealing to their senses. At the same time, I am forced to reconcile these awarenesses with the Biblical idea of “a Ransom for ALL of sinful mankind.” For many years, I found this a very difficult task. So having been reminded of my own struggle to unravel this seeming conflict I feel greatly inspired to write another article touching on the subject of evil persons versus sinful persons. While I was reading your article I realized that I have had those emotions, when my husband’s sister caused us that disgusting situation. I have some sort of got over it, because there is no more distress about it. I guess it is because I trust Yahweh and Yeshua. I can talk about that incident just like a normal case. No more strong emotions attached to it. Knowing that she did that by purpose trying to sabotage our lives and trying take our kids away with lies. 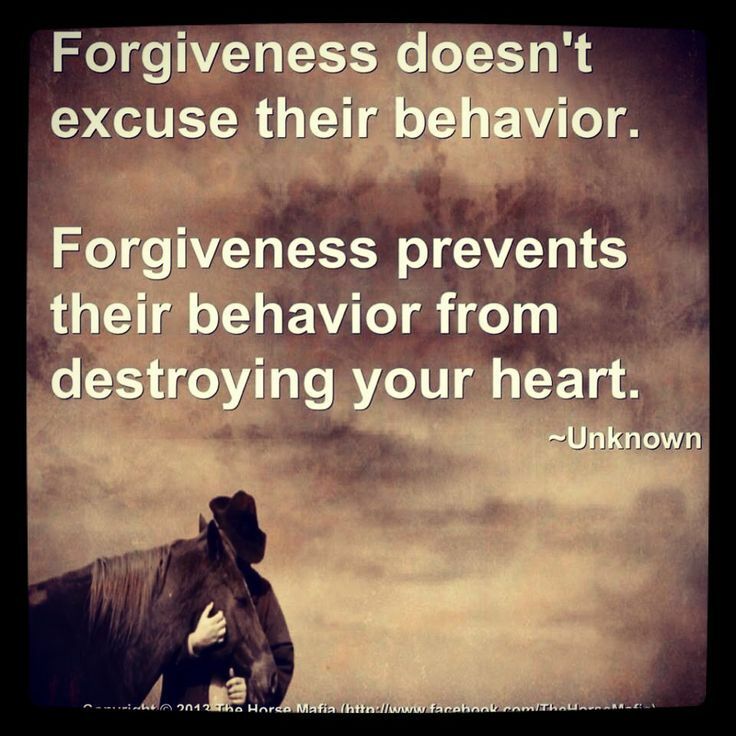 Now that is very hard one to forgive. I can be 100% sure that she knew that it was hackers doings but she wanted to use situation to her on benefits. Only God knows what her heart is made of. Is it evil or good. But if person is ready to take advantage of situation like that then her heart must be evil. I have been praying that she would realize how badly wrong she has been. If she realizes then I could forgive. But if her heart is stone cold, then it is a different thing. Okay will check it out . The builder probably didnt pick it up. Thanks for adding a couple splashes of color to my article. I like your choices. thanks! Just a little fyi, I notice that the first picture isn’t displaying. All the rest seem to work fine. Ham, Noah and "Uncovering His Nakedness.